Impressions of Warsaw old town in and around the market square. The whole area was reconstructed after the war and the results are very impressive. As I explored the old town on that November day I wanted to capture the images I encountered such as the horse carriages, the typical amber jewellery or the crow near the barbican as well as the buildings and the famous Mermaid fountain which everyone sees. 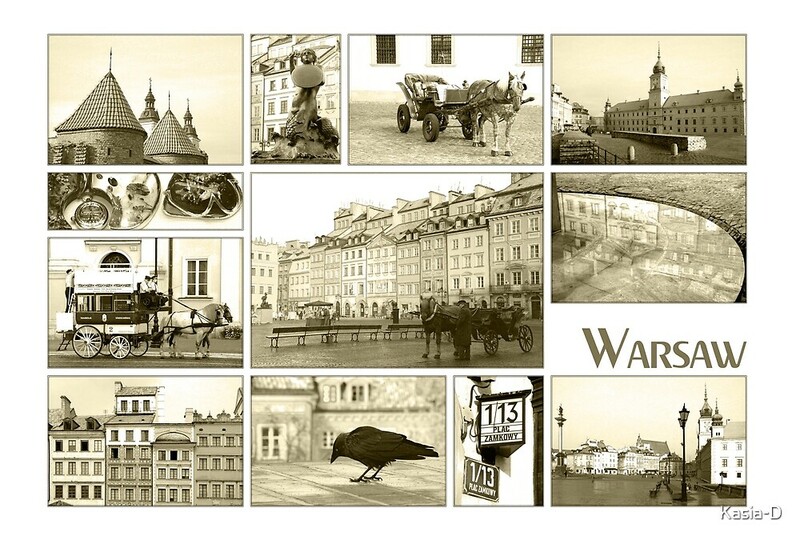 The Old Town of Warsaw is a World Heritage Site. Nikon D80, Sigma 18-200mm. Post-pro in PS CS4, collage creation in PhotoImpact 8. Kasia, I’m so pleased you like this collage from your beautiful capital city! The shots were all taken a few years ago in winter so no pictures of the pretty flower market and restaurants on the square here. Excellent. Very nice job and putting it together. Love it. Kat, thank you for your kind words. I’m pleased to hear the composition and effects work. I think it looks very authentic as well as being attractive. It reminds me of some of those old Herb Posters that I have seen. And I think it also tells a story. Larry, thank you for taking so much time to view this compilation. I already have the coloured version in 30×45 cm on my wall and was worried that reducing the colour would reduce the attraction too as those houses are actually pretty colourful. 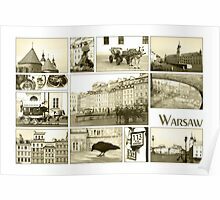 The story is of a walk through the old town and images I encountered such as the horse carriages, the amber jewellery or the crow near the barbican in addition to the buildings and the famous fountain which everyon sees. This is beautifully done Kasia! 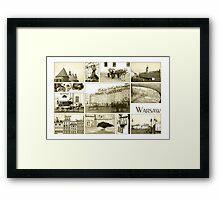 Love the design and the sepia effect! Isa, I really am pleased that you chose this one. One of my personal favourites. Thank you so much. Wow this is an incredible composition, so much thought and quality of images… fantastic art piece! Samantha, thank you very much for taking so much time to look at this work in so much depth. Really appreciated! Ragman, thank you here too. It is a fascinating city of contrasts. 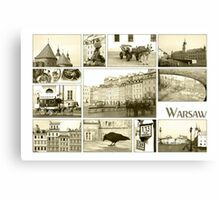 This is the “old town” part, then there are the shopping streets and avenues that could come from Vienna or Paris, then the post-war communist architecture mixed with boom time modern buildings and life-style… And of course the very hospitable, friendly people. Well worth a visit. Friederike, thank you very much for your lovely comment on this collage! 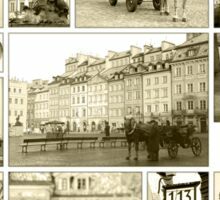 Lovely, love the vintage processing of Warszawa’s photos.